Netflix’s Locke & Key series has cast its villain. Deadline reports that Laysla de Oliveira will be a series regular on the show as Dodge. Additionally, Kevin Alves will have a less frequent role as Javi, the best friend of Connor Jessup’s Tyler Locke. Alves and Oliveira haven’t had many high-profile acting jobs, but both have made recurring appearances on TV. Oliveira made her acting debut on an episode of USA’s Covert Affairs in 2012. More recently, she guest-starred in three episodes of the current season of The Gifted. Meanwhile, Alves has appeared on Freeform’s Shadowhunters: The Mortal Instruments and Degrassi: The Next Generation. Dodge was the primary antagonist of Locke & Key. She’s actually a demon who takes possession of Rendell Locke’s childhood friend, Lucas “Dodge” Caravaggio, and used Keyhouse Manor’s gender key to become a woman. Years later, after Rendell was murdered, Dodge resurfaced to terrorize the Locke children after they moved into the Keyhouse. Though Dodge initially pretends to be friendly, his true intentions are to use the house’s supernatural keys for sinister ends. Ksenia Solo played Dodge in the aborted Locke & Key pilot for Fox in 2011. Locke & Key co-creator Joe Hill is writing the series’ pilot episode with Aron Eli Coleite, who developed the show with Carlton Cuse and Meredith Averill. 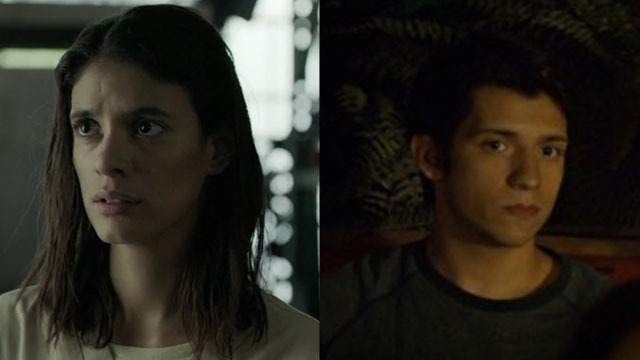 What are your thoughts on Laysla de Oliveira and Kevin Alves joining the cast of Netflix’s Locke & Key? Give us your impressions in the comment section below!